We arrived in Melbourne about 7AM this morning. Our tour for today wasn't scheduled to leave until this afternoon, so we had another nice, easy morning. Ray was feeling a bit off this morning, so we decided he would stay on board to rest and I would go on the tour by myself. We will be 2 days in Melbourne and we have a full day tour tomorrow, so it's better for him to skip today's tour. The tour for this afternoon was called "Melbourne and Gardens." 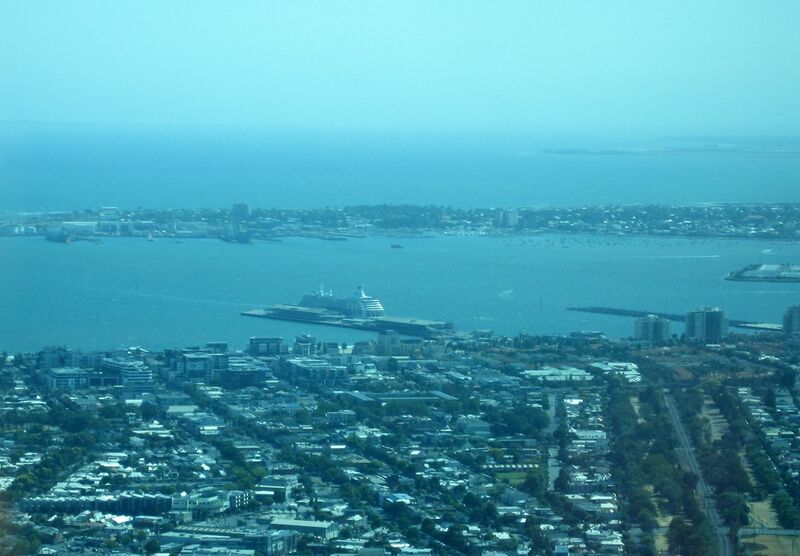 This was mostly a city tour, with stops at Fitzroy Gardens, The Shrine of Remembrance, and the Eureka Skydeck. Fitzroy Gardens is a park in the middle of the city. It is mostly open lawn and trees, with several small gardens tucked into corners. There are 2 significant buildings in the park. The first is a small Conservatory with lovely flowers. 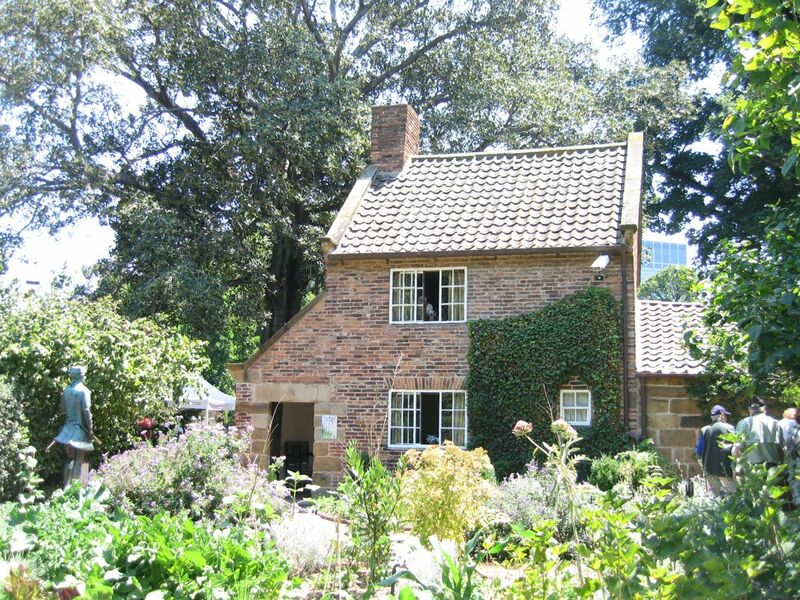 The second is the cottage Captain James Cook grew up in. Captain Cook was the English navigator who explored and charted the east coast of Australia. His parent's cottage was dismantled, shipped over from England in Barrels, and reconstructed here. 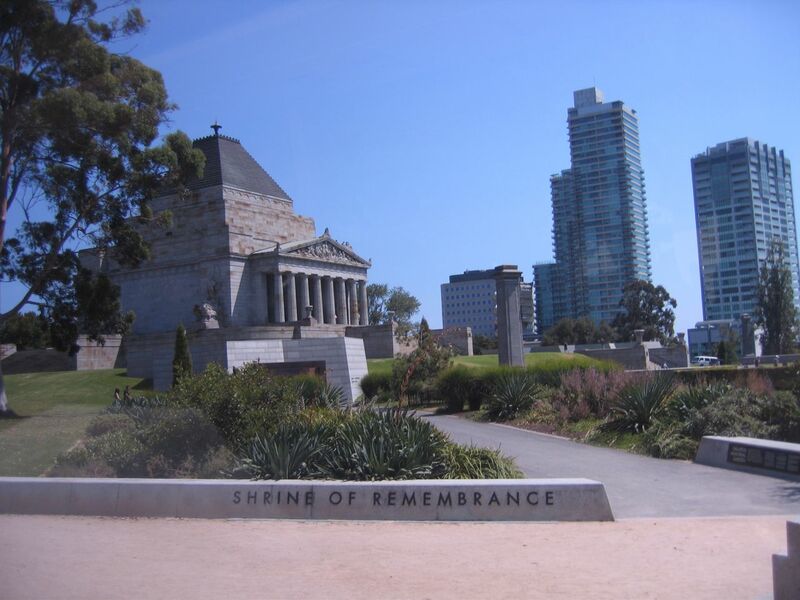 The next stop was the Shrine of Remembrance, a monument erected to honor Australian soldiers who fought in World War I. There is a museum in the ground floor of the monument, documenting several significant battles that these Australian troupes were involved in. On the grounds nearby were several other smaller monuments, commemorating World Wat II and each of the other conflicts that Australian soldiers have fought in. There was even a small monument to the war horses. Our last stop was at the Eureka Tower, for a ride in the high speed elevator up to the observation deck on the 88th floor. It was a beautiful clear day and we had a great view of the city. I took several pictures of the city, including this one of our ship in the harbor. The bus had me back at the ship by 5:30pm. When I got back to the room, Ray was still not feeling great. I was hungry but he wasn't, so we ordered room service again. I got to have a full dinner and he was content with a chef's salad. Now it's time to rest up for a long day tomorrow.